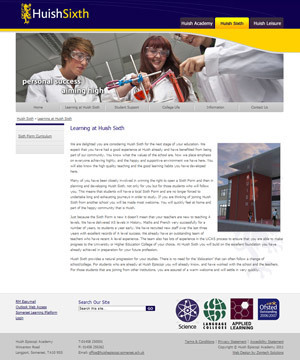 We were approached to do a redesign of the Huish Academy web site. The site was divided into three sections – the main school site / a sixth form specific site and a site for the shared leisure centre facilities. 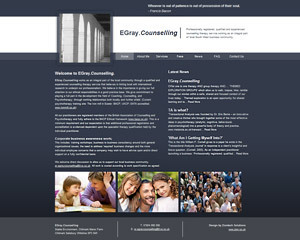 All three sections had CMS capabilities so that the staff could add/modify content on any of the main pages. 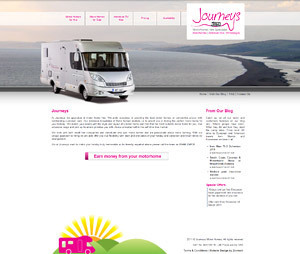 Journeys Motor Homes is a motor home hire/rental company and a sister site to the South West Motor Homes site. With this in mind, the look and feel of the new site is in keeping with the original SWMH design – the main changes are regarding Journeys’ corporate ID and colour scheme.